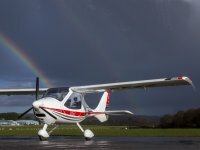 A fantastic opportunity to fly to another airfield. Two take offs and two landings. After a break and discussion of outbound flight you will take the controls for the flight home. Destination variable.Includes DVD of flight. 4 hours, with 4 hours in the air. 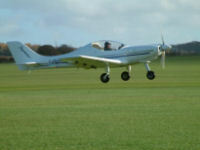 A fantastic opportunity to fly to another airfield. Two take offs and two landings. After a break during which you will discuss the outbound flight you will take the controls for the flight home. Destination variable. 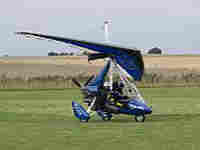 90 minute trial lesson lesson in a modern trainer microlight. Chance to fly along the coastline or anywhere else that you choose. Friends and family welcome at the airfield. Includes DVD of the flight. 90 minute trial lesson lesson in a modern trainer microlight. Chance to fly along the coastline or anywhere else that you choose. Friends and family welcome at the airfield. 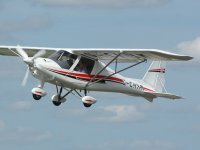 After a pre-flight briefing from the Instructor, you will spend 90 minutes flying in the aircraft around Southampton and get your chance at the controls. Why choose? 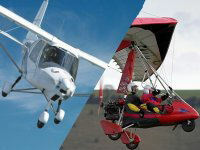 This gives you a chance to try both types of Microlight. After a pre flight safety briefing it is time to get airborne. The instructor will demonstate some moves and then it is your turn! Spectators welcome. 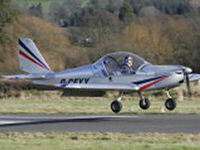 For something a little different take a trip in our EV97-Eurostar to another local airfield. Listen amd learn on the way out and put it into practise on the return. Approximately 90 minutes flying time. 1 hour trial lesson lesson in a modern microlight. Chance to see Durham; Angel of the North and other local landmarks. Includes DVD of the flight as a momento. Friends and family welcome at the airfield. 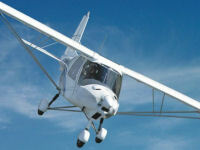 Experience the truly amazing sensation of flight in one of these tiny, yet incredibly robust, flying machines. 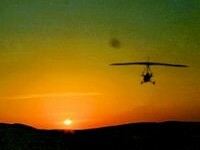 Whether a one-off experience or the beginning of a new hobby you will enjoy the flight. Flexwing weightshift 40min Dual microlight flight. Reach for the freedom of the skies with this 40min introduction experience training session. 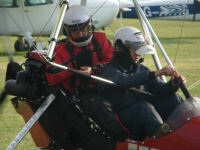 Chance to experience the world of microlights in this 60 minute lesson. After a briefing you will take to the skies over Bath and surrounding area.Plenty of time to take the controls if you wish. In your 1 hour trial lesson you will be have the opportunity to fly the aircraft and visit some of the local landmarks, such as Alfred's Tower, Stonehenge and the Fovant Military Badges or even go over your house! 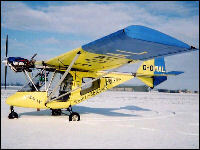 Your chance to experience a flight in a Fixed or Flexwing Microlight over the Gloucestershire countryside. Once airborne you will get opportunity to take the controls for yourself. Don't forget your camera. 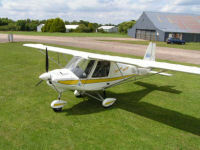 A trial flying lesson for a full hour over the rolling hills of Northamptonshire or via the Lincolnshire Fenlands to the North Sea Coast. 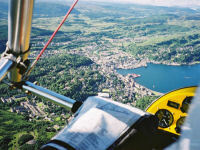 Admire the view from half a mile high then you will be given control to fly the aircraft. 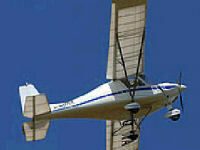 Experience the joy of flight in a modern microlight aircraft. 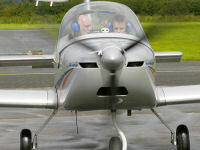 Try a Trial flying lesson in a 3 axis Eurostar aircraft. 1 hour trial lesson lesson in a modern microlight. Chance to see Durham; Angel of the North and other local landmarks. Friends and family welcome at the airfield. 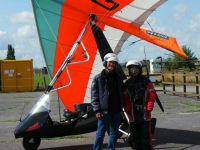 Take control of a microlight aircraft - once you have been fully briefed by our instructor of course ! Flexwing weightshift 30min Dual microlight flight. Reach for the freedom of the skies with this 30min introduction experience training session. 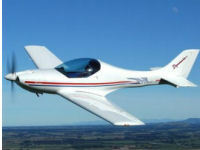 A one hour introduction to the freedom of flight in a Icarus C42. Includes pre-flight briefing. During the flight there will be plenty of opportunity to take the controls. Don't forget your camera. 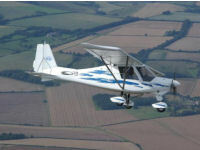 A one hour introduction to the freedom of flight in a Flex-wing microlight. Includes pre-flight briefing and optional DVD of the flight. Don't forget your camera. During the flight there will be plenty of opportunity to take the controls. 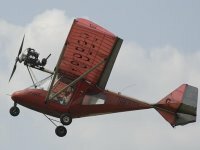 This could be the first step towards learning to fly a microlight or just a one-off flight of a lifetime. Whichever it is you will have the opportunity to ee some of the wonderful sights of Cornwall. Don't forget your camera! A full one hour flight in a 3-axis microlight. Once airborne you will get chance to take the controls or if you prefer just sit back and enjoy the scenery. In your 45min trial lesson you will be have the opportunity to fly the aircraft and visit some of the local landmarks, such as Alfred's Tower, Stonehenge and the Fovant Military Badges or even go over your house! 70 minutes, with 45 minutes in the air. 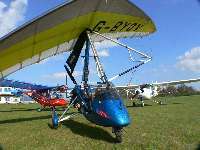 30 minute taster lesson in a modern microlight. Aircraft has on board cameras so you will have a DVD of your flight to take home as a souvenir.Friends and family welcome at the airfield. 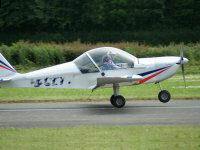 Experience a full hour trial flight in one of our EV-97 Team Eurostars. Whether a one-off or the start of a new hobby this is a wonderful introduction to the world of Microlighting. Personalised certificate of flight as a momento. Experience a 60 minute flight in one of our latest generation microlights and have a go on the controls of either a 3-axis or a weight-shift microlight. (Specify which when you arrange the flight). 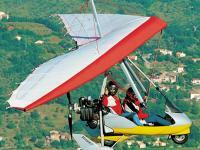 Take to the air in either a Flexwing Microlight aircraft. Experience the dream of Flight and have a go at the controls. 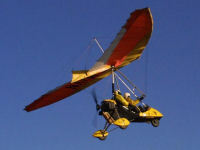 Take to the air in fixed wing (3-axis) Microlight aircraft. These incredible machines have standard control just like their big brothers! Experience the dream of Flight and have a go at the controls. A one hour 'first lesson' in a choice of 3-axis microlight aircraft. C42 is high wing while Eurostar is low wing. Experience includes a Microlight Pilots Logbook to record your flight. 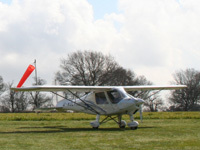 A one hour 'first lesson' in a choice of 3-axis or flexwing microlight aircraft. The 3-axis aircraft is high wing C42. Experience includes a Microlight Pilots Logbook to record your flight. 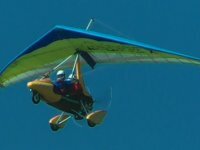 Chance to experience the world of microlights in this 30 minute lesson. After a briefing you will take to the skies over Bath and surrounding area.Chance to take the controls if you wish. Operation Swan: 60 minutes flying time. Have a go on the controls or simply revel in the sensations. After a warm welcome from your instructor and a pre-flight briefing it is on with flight suits,intercoms, helmets and off to the Flexwing microlight. Whether a one-off lesson or the first of many it will be something to remember. After a safety and ground briefing you will be taking a trial lesson over one of the most famous riverside locations in the Thames Valley - site of the famous regatta - Henley on Thames. Don't forget your camera! 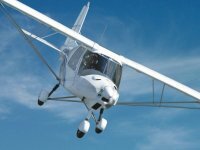 Experience a flight over the Mid-Ulster countryside which stretches from the beautiful lakes of Enniskillen to the fabulous Mourne Mountains, skipping the shores of Lough Neagh as you go or choose your own route. It's up to you! 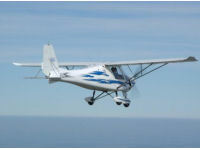 After a pre-flight briefing from the Instructor, you will spend 60 minutes flying in the aircraft around Southampton and get your chance at the controls. 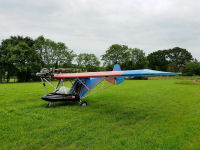 Experience a 45 minute flight in one of our latest generation microlights and have a go on the controls of either a 3-axis or a weight-shift microlight. (Specify which when you arrange the flight). A 'first lesson' package which includes a 30 min flight, a pilots logbook and Brian Cosgrove's 'Microlight Pilots Handbook'. 1 hours, with 30 minutes in the air. After a pre flight safety briefing it is out to the aircraft for the flight. The instructor will demonstate some moves and then it is your turn! Spectators welcome. After a pre flight safety briefing it is out to the aircraft and time to get airborne. The instructor will demonstate some moves and then it is your turn! Spectators welcome. This one hour flight allows you to really enjoy the local scenery. Whether you want to view the wonderful coastal scenery or fly over the area where you live this will give you plenty of time to appreciate the views. This flight should be long enough to see the beautiful North Devon coast or choose an alternative route on the day! 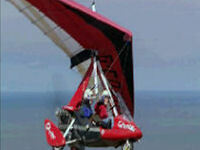 Our microlight has dual controls and an onboard camera to photograph your adventure. Fixedwing microlight flight. Reach for the freedom of the skies with this 40min introduction experience training session. In your 30min trial lesson you will be have the opportunity to fly the aircraft and visit some of the local landmarks, such as Alfred's Tower, Stonehenge and the Fovant Military Badges or even go over your house! 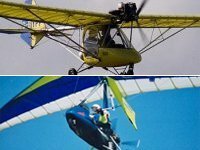 Experience the truly amazing sensation of flight in one of these tiny, yet incredibly robust, flying machines. 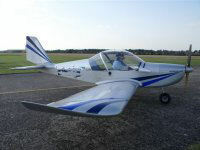 Trial flying lesson in a 3 axis Eurostar aircraft. 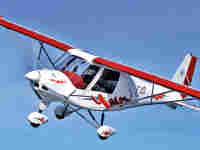 30 minute taster lesson in a modern microlight. Friends and family welcome at the airfield. Flexwing weightshift 40min microlight flight. Reach for the freedom of the skies with this 40min introduction experience training session. 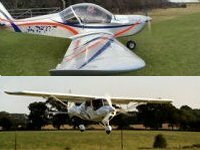 A 30 minute introduction to the freedom of flight in a Icarus C42. Includes pre-flight briefing. During the flight there will be plenty of opportunity to take the controls. Don't forget your camera. A thirty minute intro. 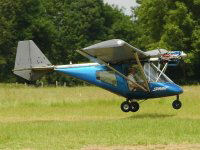 to the freedom of flight in a Flex-wing microlight. Includes pre-flight briefing and optional DVD of the flight. Don't forget your camera. During the flight there will be plenty of opportunity to take the controls! 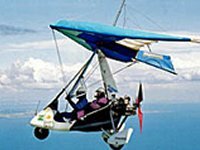 If you think the world of microlights is for you then then is is an ideal short experience to see what it is like.I guarantee you will wish you were going for longer. 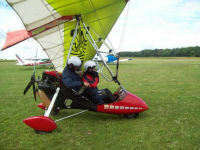 If you think the world of microlights is for you then then is is an ideal short lesson to see what it is like. I guarantee you will wish you were going for longer. 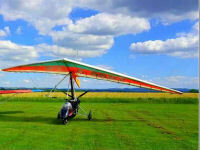 Your opportunity to experience flight in one of the most popular flexwing microlights. 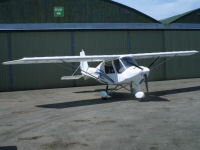 Includes pre-flight briefing and 30 minute flight. Spectators welcome. Your opportunity to experience flight in one of the most popular 3-axis microlights - a T600 Thruster. Includes pre-flight briefing and 30 minute flight. Spectators welcome. 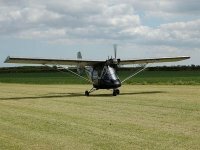 After a safety and ground briefing you will be taking a 20 minute taster lesson in a microlight. Don't forget your camera! 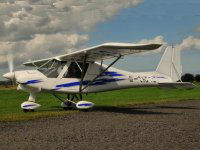 Your opportunity to experience flight in one of the most popular training microlights - C42. Includes pre-flight briefing and 30 minute flight. Specatators welcome. 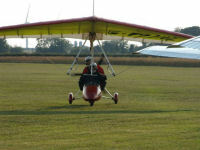 Take to the air in a Fixed wing (3-axis) Microlight aircraft. Experience the dream of Flight. Flexwing weightshift 30min microlight flight. Reach for the freedom of the skies with this 30min introduction experience training session. Fixed wing microlight flight. Reach for the freedom of the skies with this 30min introduction experience training session. This flight should be long enough to see the Somerset coast or choose an alternative route on the day! Our microlight has dual controls and an onboard camera to photograph your adventure. 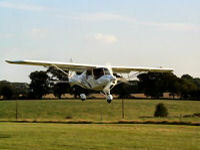 Experience a full 30 minute trial flight in one of our EV-97 Team Eurostars. From the moment you take off you will feel like you are flying a real light aircraft yet this IS a Microlight.Personalised certificate of flight as a momento. A 30 minute flight in a 3-axis microlight. Once airborne you will get chance to take the controls or if you prefer just sit back and enjoy the scenery. 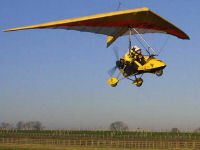 Take to the air in either a Flexwing Microlight aircraft. Experience the dream of Flight. Experience a 30 minute flight in one of our latest generation microlights and have a go on the controls of either a 3-axis or a weight-shift microlight. (Specify which when you arrange the flight). 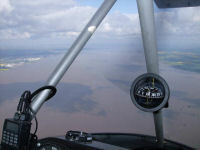 Experience a flight over the Mid-Ulster countryside and take control for that magic moment 1500 ft above the shores of Lough Neagh taking in the River Bann and Coney Island or choose your own route. It's up to you! After a safety and ground briefing you will take to the skies for this 30 minute flight. Once airborne you will be offered the chance to take the controls and fly the aircraft for yourself. 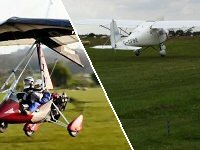 Experience a 20 minute flight in one of our latest generation microlights and have a go on the controls of either a 3-axis or a weight-shift microlight. (Specify which when you arrange the flight). 45 minutes, with 20 minutes in the air. The engine starts. You start to move along the runway and feel the wind underneath the visor of your helmet.Then, after just a few metres, the whole thing suddenly rises up into the air and you're flying!What are you waiting for? 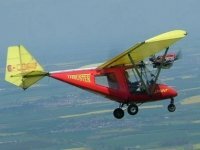 If you are not sure if the world of microlights is for you then then is is an ideal 'taster' to see what it is like.I guarantee you will wish you were going for longer. 40 minutes, with 10 minutes in the air. 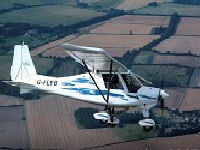 20 mins trial lesson in EV97 eurostar microlight aircraft. 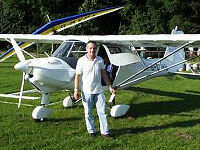 A 20 minute flight in your choice of Microlight Aircraft. The experience includes a short per-flight briefing, 20 minutes flying including 'hands on' flying and time to pose for a photo afterwards! 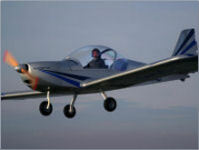 A 20 minute flight in a high wing trainer - C42. The experience includes a short per-flight briefing, 20 minutes flying including 'hands on' flying and time to pose for a photo afterwards! This flight time should be long enough to see Glastonbury Tor or choose an alternative route on the day! 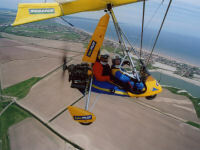 Our microlight has dual controls and an onboard camera to photograph your adventure. 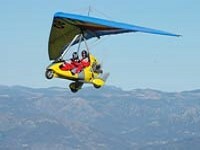 Experience the truly amazing sensation of flight in one of these tiny, yet incredibly robust, flying machines. 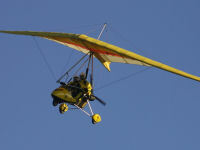 If you are not sure if microlight flying is for you then this taster flight will allow you to find out. 25 minutes, with 15 minutes in the air. 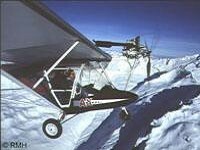 If you have never flown in anything smaller than a large passenger aircraft you will never forget your first trial flight! Designed for you to have fun, to familiarise you with the aircraft including safety and the flight controls.